The Breakthrough Prize is a set of international awards bestowed in three categories by Breakthrough Prize Board in recognition of scientific advance. The awards are part of several "Breakthrough" initiatives founded and funded by Yuri Milner, along with Breakthrough Initiatives and Breakthrough Junior Challenge. Yuri Borisovich (Bentsionovich) Milner is an Israeli-Russian entrepreneur, venture capitalist and physicist. Milner is Russia's most influential tech investor as the founder of investment firms Digital Sky Technologies (DST) now called Mail.ru Group and DST Global. Through DST Global, Milner is an investor in Facebook, Zynga, Twitter, Flipkart, Spotify, Zocdoc, Groupon, JD.com, Xiaomi, OlaCabs, Alibaba, Airbnb, WhatsApp, Nubank, Wish and many others. The winners of 2016 New Horizons in Physics Prize are B. Andrei Bernevig, Liang Fu, Xiao-Liang Qi; Raphael Flauger, Leonardo Senatore; and Yuji Tachikawa. The winners of 2017 New Horizons in Physics Prize are Asimina Arvanitaki, Peter W. Graham, and Surjeet Rajendran; Simone Giombi and Xi Yin; and Frans Pretorius. The winners of 2018 New Horizons in Physics Prize are Christopher Hirata, Douglas Stanford, and Andrea Young. The winners of 2019 New Horizons in Physics Prize are Brian Metzger; Rana Adhikari, Lisa Barsotti and Matthew Evans; and Daniel Harlow, Daniel L. Jafferis and Aron Wall. The following is a listing of the laureates, by year (including Special Prize winners). Сontributors who are authors of the paper Observation of Gravitational Waves from a Binary Black Hole Merger (Physical Review Letters, 11 February 2016) and contributors who also made important contributions to the success of LIGO. The name of the 2013 prize winner was unveiled at the culmination of a ceremony which took place on the evening of March 20, 2013 at the Geneva International Conference Centre. The ceremony was hosted by Hollywood actor and science enthusiast Morgan Freeman. The evening honored the 2013 laureates − 16 outstanding scientists including Stephen Hawking  and CERN scientists who led the decades-long effort to discover the Higgs-like particle at the Large Hadron Collider. Sarah Brightman and Russian pianist Denis Matsuev performed for the guests of the ceremony. 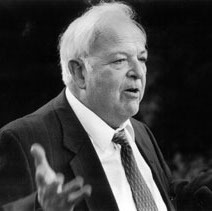 Burton Richter was an American physicist. He led the Stanford Linear Accelerator Center (SLAC) team which co-discovered the J/ψ meson in 1974, alongside the Brookhaven National Laboratory (BNL) team led by Samuel Ting for which they won Nobel Prize for Physics in 1976. This discovery was part of the so-called November Revolution of particle physics. He was the SLAC director from 1984 to 1999. Saul Perlmutter is a U.S. astrophysicist at the Lawrence Berkeley National Laboratory and a professor of physics at the University of California, Berkeley. He is a member of the American Academy of Arts & Sciences, and was elected a Fellow of the American Association for the Advancement of Science in 2003. He is also a member of the National Academy of Sciences. Perlmutter shared the 2006 Shaw Prize in Astronomy, the 2011 Nobel Prize in Physics, and the 2015 Breakthrough Prize in Fundamental Physics with Brian P. Schmidt and Adam Riess for providing evidence that the expansion of the universe is accelerating. Roy Jay Glauber was an American theoretical physicist. He was the Mallinckrodt Professor of Physics at Harvard University and Adjunct Professor of Optical Sciences at the University of Arizona. Born in New York City, he was awarded one half of the 2005 Nobel Prize in Physics "for his contribution to the quantum theory of optical coherence", with the other half shared by John L. Hall and Theodor W. Hänsch. In this work, published in 1963, he created a model for photodetection and explained the fundamental characteristics of different types of light, such as laser light and light from light bulbs. His theories are widely used in the field of quantum optics. In statistical physics he pioneered the study of the dynamics of first-order phase transitions, since he first defined and investigated the stochastic dynamics of a Ising model in a largely influential paper published in 1963. He served on the National Advisory Board of the Center for Arms Control and Non-Proliferation, the research arms of Council for a Livable World. The Abdus Salam International Centre for Theoretical Physics (ICTP) is an international research institute for physical and mathematical sciences that operates under a tripartite agreement between the Italian Government, United Nations Educational, Scientific and Cultural Organization (UNESCO), and International Atomic Energy Agency (IAEA). It is located near the Miramare Park, about 10 kilometres from the city of Trieste, Italy. The centre was founded in 1964 by Pakistani Nobel Laureate Abdus Salam. Brian Paul Schmidt is the Vice-Chancellor of the Australian National University (ANU). He was previously a Distinguished Professor, Australian Research Council Laureate Fellow and astrophysicist at the University's Mount Stromlo Observatory and Research School of Astronomy and Astrophysics. He is known for his research in using supernovae as cosmological probes. He currently holds an Australia Research Council Federation Fellowship and was elected a Fellow of the Royal Society (FRS) in 2012. Schmidt shared both the 2006 Shaw Prize in Astronomy and the 2011 Nobel Prize in Physics with Saul Perlmutter and Adam Riess for providing evidence that the expansion of the universe is accelerating, making him the only Montana-born Nobel laureate. Giorgio Parisi is an Italian theoretical physicist, whose research has focused on quantum field theory, statistical mechanics and complex systems. 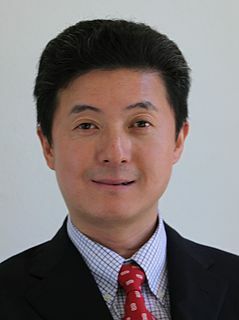 His best known contributions are the QCD evolution equations for parton densities, obtained with Guido Altarelli, known as the Altarelli-Parisi or DGLAP equations, the exact solution of the Sherrington-Kirkpatrick model of spin glasses, the Kardar–Parisi–Zhang equation describing dynamic scaling of growing interfaces, and the study of whirling flocks of birds. Science and technology in Germany has reached achievements which have been very significant and research and development efforts form an integral part of the country's economy. Germany has been the home of some of the most prominent researchers in various scientific disciplines, notably physics, mathematics, chemistry and engineering. Before World War II, Germany had generated more Nobel laureates in scientific fields than any other nation. It compelled as best country in the natural sciences. Lyn Evans CBE, is a Welsh scientist who served as the project leader of the Large Hadron Collider in Switzerland. Based at CERN, in 2012 he became the director of the Linear Collider Collaboration, an international organisation managing development of next generation particle colliders, including the International Linear Collider and the Compact Linear Collider. David Jeffrey Wineland is an American Nobel-laureate physicist at the National Institute of Standards and Technology (NIST) physics laboratory. His work has included advances in optics, specifically laser cooling trapped ions and using ions for quantum computing operations. He was awarded the 2012 Nobel Prize in Physics, jointly with Serge Haroche, for "ground-breaking experimental methods that enable measuring and manipulation of individual quantum systems". He discovered a new state of matter called topological insulator in which electrons can conduct along the edge without dissipation, enabling a new generation of electronic devices with much lower power consumption. For this ground breaking work he received numerous international awards, including the Buckley Prize, the Dirac Medal and Prize, the Europhysics Prize, the Physics Frontiers Prize and the Benjamin Franklin Medal. The Breakthrough Prize in Mathematics is an annual award of the Breakthrough Prize series announced in 2013. It is funded by Yuri Milner and Mark Zuckerberg and others. The annual award comes with a cash gift of $3 million, and up to three laureates are chosen for the New Horizons in Mathematics Prize, at $100,000 which is intended for early-career researchers. Hitoshi Murayama (村山斉) is a Japanese-born physicist with notable contributions in the fields of particle physics and cosmology. He is currently a professor at University of California, Berkeley, and Director of the Kavli Institute for the Physics and Mathematics of the Universe at the University of Tokyo. Xi Yin is a Chinese American theoretical physicist. Natalia Toro is an American particle physicist know for her pioneering work in the study of dark matter. Based at the Perimeter Institute for Theoretical Physics in Waterloo, Ontario, Toro was the youngest winner of the Intel Science Talent Search and was awarded the 2015 New Horizons in Physics Prize. ↑ "Breakthrough Prize – Fundamental Physics Breakthrough Prize – Prizes". breakthroughprize.org. Retrieved 2018-09-10. 1 2 3 4 5 6 "Fundamental Physics Prize - About". Fundamental Physics Prize. Archived from the original on 5 November 2012. Retrieved 4 August 2012. ↑ Ghosh, Pallab (2018-09-06). "Bell Burnell: Physics star gives away £2.3m prize". BBC News. 1 2 "9 Scientists Receive a New Physics Prize". The New York Times. 31 July 2012. Retrieved 2012-08-04. 1 2 "Winners of life science prize revealed". Financial Times. 1 2 "Breakthrough Prize – Special Breakthrough Prize In Fundamental Physics Awarded To Jocelyn Bell Burnell For Discovery Of Pulsars". breakthroughprize.org. Retrieved 2018-09-09. ↑ "Fundamental Physics Prize News". fundamentalphysicsprize.org. Archived from the original on 2012-12-14. ↑ Rinat, Zafrir (2012-12-12). "Israeli Wins Prestigious International Physics Prize". Haaretz. 1 2 "Fundamental Physics Prize - News". Fundamental Physics Prize. Archived from the original on 14 December 2012. Retrieved 11 December 2012. ↑ "Fundamental Physics Prize - News". Fundamental Physics Prize (2016). Retrieved 4 May 2016. ↑ "Breakthrough Prize – Laureates". 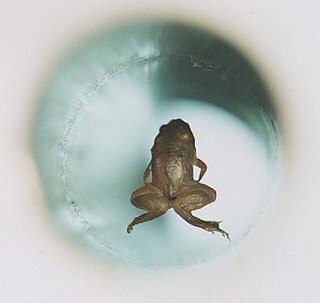 breakthroughprize.org. ↑ "Congratulations to Charles Bennett, Gary Hinshaw, Norman Jarosik, Lyman Page Jr., David Spergel and the WMAP Science Team for winning the 2018 Breakthrough Prize in Fundamental Physics". science.gsfc.nasa.gov. NASA. 3 December 2017. Retrieved 8 December 2017. ↑ The Breakthrough Prize trophy. ↑ "Fundamental Physics Prize Ceremony 2013 - Part 1". Archived from the original on July 27, 2013. Retrieved April 17, 2013. ↑ "Fundamental Physics Prize Ceremony 2013 - Part 2". Archived from the original on May 27, 2014. Retrieved April 17, 2013. ↑ Zeeya Merali (12 June 2013). "Science prizes: The new Nobels". Nature. 498 (7453): 152–154. doi:10.1038/498152a. PMID 23765473 . Retrieved 22 June 2013. ↑ Editorial (12 June 2013). "Young upstarts". Nature. 498 (7453): 138. doi:10.1038/498138a. PMID 23776948 . Retrieved 22 June 2013.